Where floor prep is a real blast! When a rough profile is not wanted, diamond grinding is the preferred method to prepare concrete for clear or translucent sealers and thin film coatings. Grinding removes surface contaminants while "opening up" the concrete so coatings/stains will penetrate and create a strong mechanical bond. Over the past 10 years there has been an explosion of popularity for diamond grinding. This has resulted in many innovations in the tooling that is used with the grinders. We are able to quickly and easily scrape gummy adhesives and remove thick epoxies with specialty scraper tools that cut through the coating instead of grinding (which can be very time-consuming). 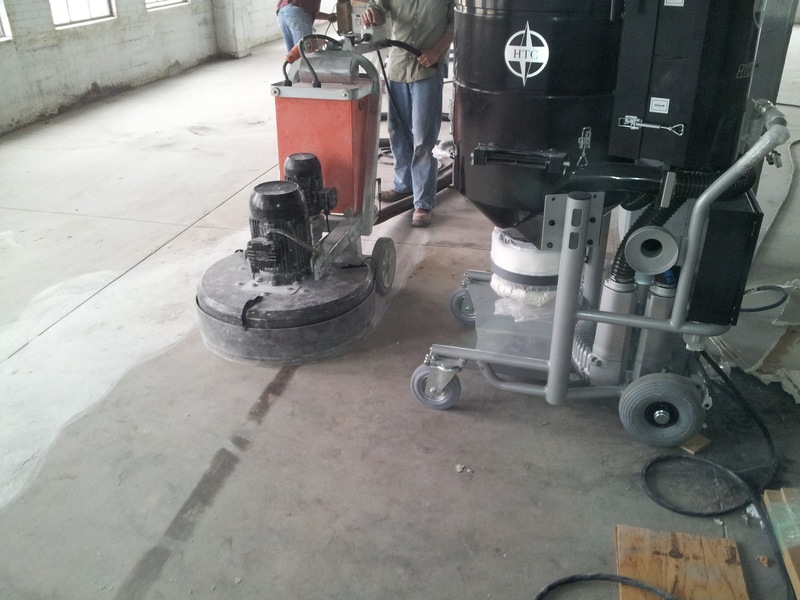 All of this makes the diamond grinder a very versatile machine for removing coatings and adhesives. Copyright 2017 .Texas Shot Blast LLC. All Rights Reserved.